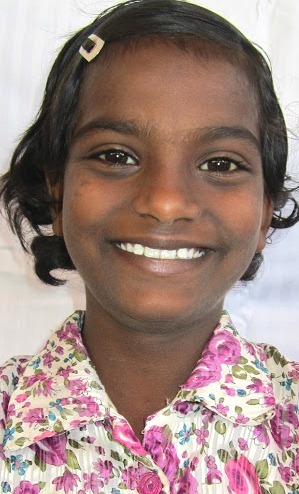 Nirmala, 10 years old, studies in 2nd grade. Her family could not provide for her or send her to school. She has new hope at orphanage in Bangalore. She waits for over 8 months for a sponsor.